Meditation is a mind-body practice that allows one to calm their mind from the fast pace and stresses of life. When we take time to slow down and focus on the present, we eliminate many of the stress responses in our bodies. Some enjoy seated, silent meditation, while others enjoy triggering each of their senses to enhance their relaxation. Soothing our five senses can help us more easily enter a meditative state. As meditation becomes more popular and more people begin to cultivate a regular practice, it becomes important to find things that make it easier to make meditation a habit. There are some helpful props and accessories that will make your meditation more practice comfortable and centered. We have compiled five items that will help aid in each sensory aspect of your meditation practice. Salt lamps create a dim lighting for any room perfect for a meditation practice. 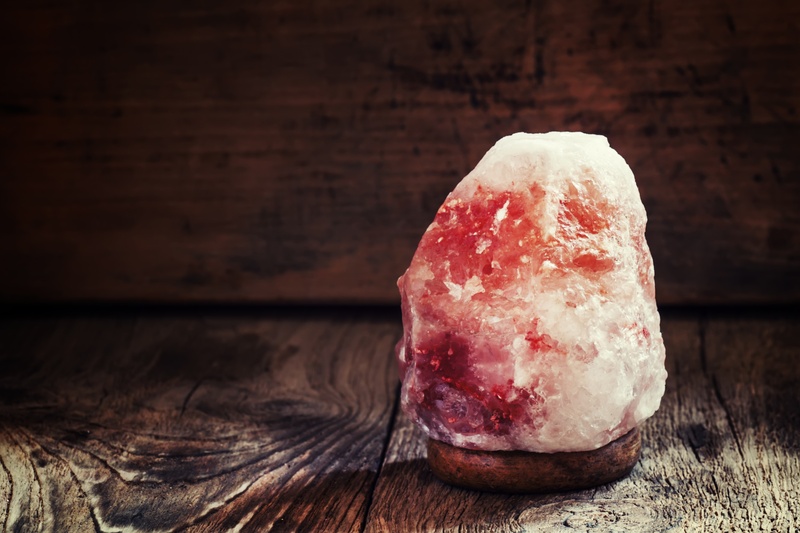 Along with the relaxing lighting, salt lamps are said to create negative ions and can increase overall energy in your space. Salt lamps are made by a large chopped off chunk of Himalayan pink salt with a light bulb in the middle causing the salt to glow and warm from within. In addition to salt lamps, candles also create a meditative lighting and focal point for deepening your meditation. 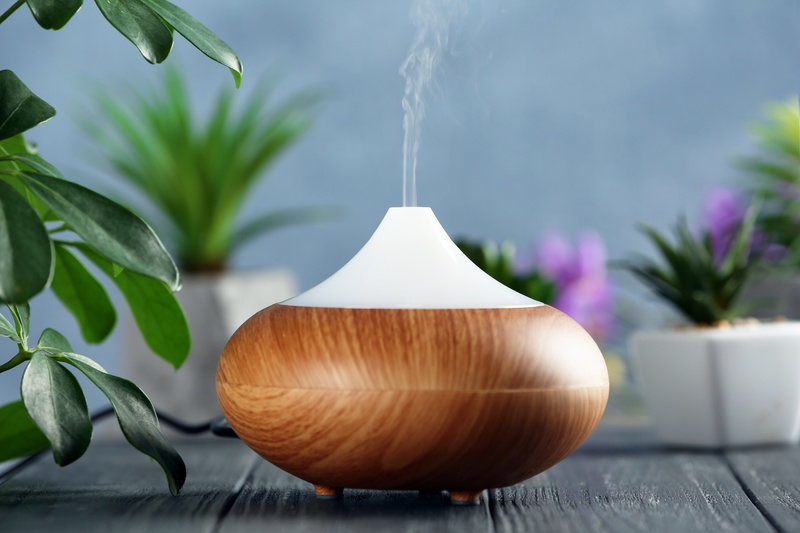 Essential oil diffusers are commonly used in homes and offices as an alternative to chemical-based air fresheners and purifier sprays. They are also a safe and easy way to receive relaxing aromatherapy during your meditation practice. Choose from many different oils for your desired effect! Some oils can be sedating while others energizing. The benefits of aromatherapy include stress relief, mental focus, allergy relief, and more! 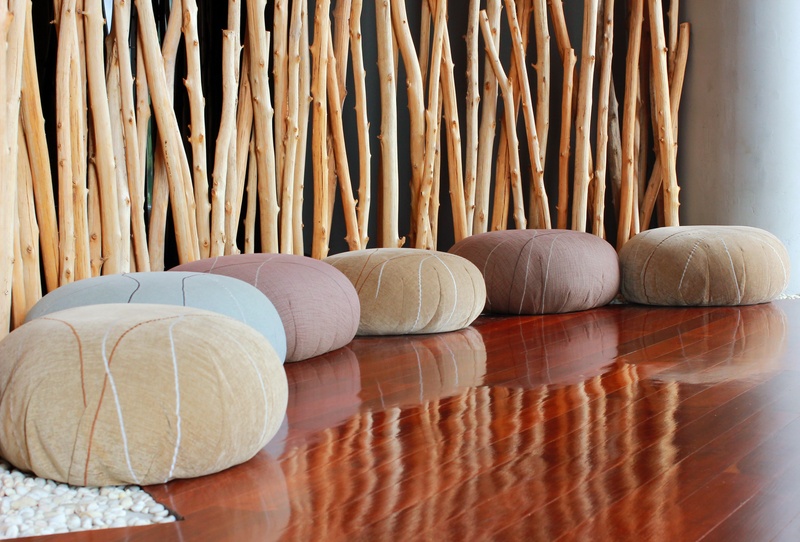 Meditation pillows are essential for any meditation practice. Sitting for long periods of time can cause discomfort in the body, even sometimes causing body parts to feel “asleep”. Pillows can help in a seated meditation to keep posture straight and relieve pressure from their buttocks. Making a meditation practice comfortable is a great way to stick with it! Mala beads are another powerful and symbolic tool for meditation. Mala beads can be held during meditation practice as a tactile point of focus. The 108 beads on a traditional mala are said to help focus your meditation on your internal mantra, or focused thought that guides your practice. By repeating over and over again as you grip each bead in your hand going all the way around the mala, you can meditate on your mantra through mindful repetition. There are many forms of sound therapy and meditation audio technology that assists you in going deeper in your meditation practice. 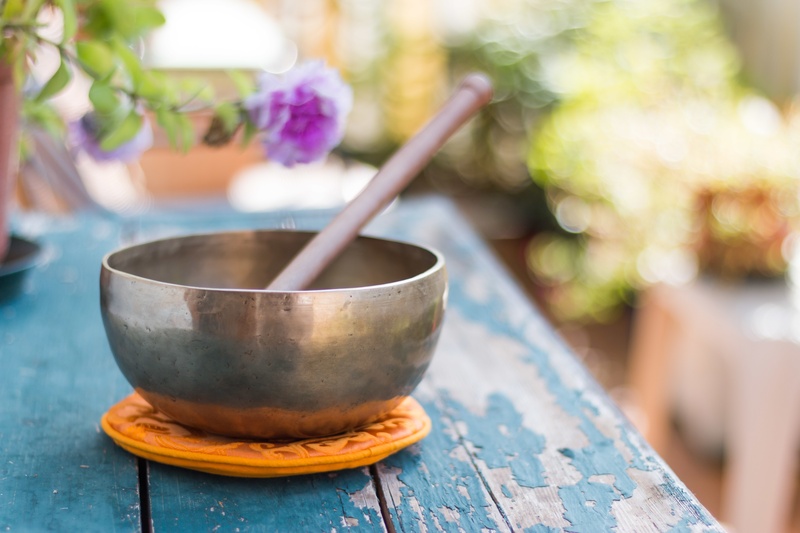 Bowls can also be used to create soothing tones that help to focus the mind. Many meditators also enjoy guided meditation audio, or simply the sounds of nature. Whatever audio source you decide on for your meditation practice, pick something that will not be distracting and help your mind focus you on the present moment. 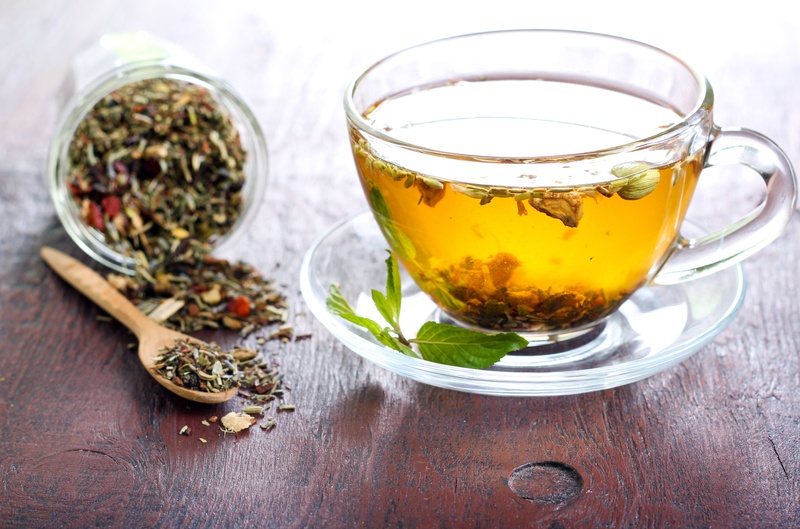 Tea can be a calming way to relax and reflect after a meditation practice. The act of sipping tea in and of itself can be meditative. Tea can even be enjoyed before meditation as a way of slowing down to prepare one’s self to enter a calm state of mind. Tea can be both stimulating and relaxing. A good combination of both could help keep you both alert yet relaxed while you meditate. Helping yourself relax by way of incorporating all the 5 senses will help you have a deeper meditation experience. 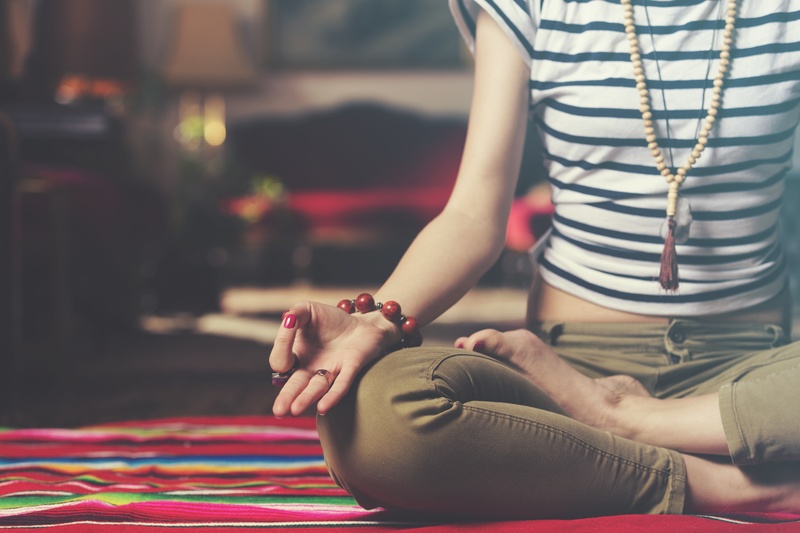 We hope you consider enhancing your meditation practice with these above tools. Most of these meditation tools can be purchased from the AOMA Store.